The Zendio Blog: Why do Multiple Email Reads Matter? Why do Multiple Email Reads Matter? It’s nice to know that people are reading the important emails that you send. It means that your sales offer or proposal has reached the intended recipient and that they have the information necessary to make a decision or respond accordingly to your business request. We created Zendio email tracking to provide these kinds of useful insights, a sense of knowing that allows you to press the send button and focus on the other work at hand. Zendio is a plug-in for Microsoft Outlook that is installed through a simple download. Once installed, it automatically begins tracking your emails, sending email notifications each and every time your email is read. The Zendio inbox provides in-depth analytics information to help you understand how different individuals read emails. It even tracks multiple reads and locations. So, why do multiple email reads matter? 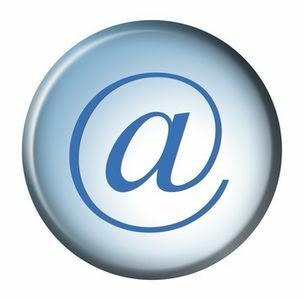 The recipient found your email important- You can rest assured that your email was received and read. Multiple reads mean they have returned to digest the information once more, a clear sign of interest. The recipient may have forwarded your email- If you have sent an important proposal or report, a forwarded email indicates that the recipient shared it with others, another sign of interest and consideration. Paired with email notifications, analytics and key insights, users get a fully formed picture of what’s happening within their email communications. Multiple email reads matter. They show interest in your email and engagement with the enclosed content. Knowing where, when and how many times your email was read will allow you to follow up in the most appropriate and professional manner. Peace of mind and productivity are simply the side effects.